The Best Show Gems Archives may be the easiest place to start. These are edited, bite-sized chunks of the best routines (usually over the phone) between Tom and his foil, Jon Wurster, funniest drummer alive. There are a few exceptions sprinkled throughout, one of note: a back-and-forth between Tom and a Smirnoff Ice Regional Sales Rep played to perfection by H. Jon Benjamin. The Best Show Archives are, obviously, archives of the 3-hour show in its entirety. They go all the way back to 2000, but you’ll need RealAudio to listen to the earlier episodes. It’s worth it. Paste Magazine put together a decent list of the 10 best fake callers (all voiced by Wurster). 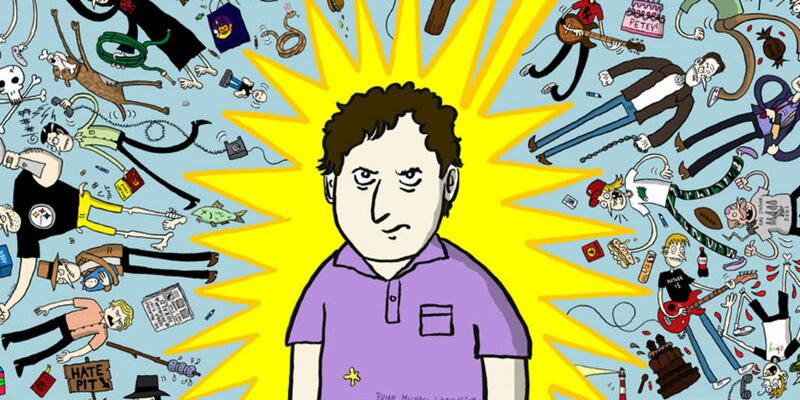 New York Magazine’s Vulture blog had a candid interview with Scharpling about his favorite Best Show moments. Finally, The Awl assembled a comprehensive tribute soon after Tom announced the show’s final run of episodes. There are rumors that Scharpling is planning to put together a similar show in podcast form, with an eye toward actually generating some revenue from the endeavor, which will clearly come as welcome news to listeners all over “radioland”.